Daniel currently serves as conductor and music director for the Triad Area Medical Orchestra (TAMO), a community orchestra comprised of medical professionals and students in the piedmont-triad area. He also serves as the Conducting Fellow for the Winston-Salem Symphony Orchestra. He has previously served as Assistant Conductor for the University of North Carolina School of the Arts (UNCSA) Symphony Orchestra and the TAMO. 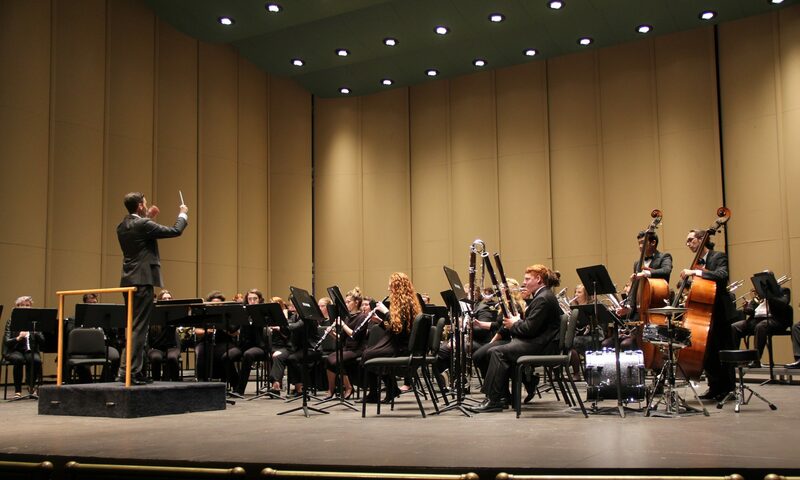 In Fall 2017, Daniel was a guest conductor with the UNCSA Wind Ensemble, performing “A Copland Portrait” during their fall concert. Daniel has studied with Larry Rachleff during the Ithaca International Conducting Masterclass in Ithaca, NY. He was also a participant in the International Institute for Conductors: Advanced Conducting Academy in Bacau, Romania. During the workshop, he collaborated with maestros Ovidiu Balan, Charles Gambetta, and the Filharmonica ‘Mihail Jora’ Bacau to conduct works by Puccini, Verdi, and Johann Strauss Jr.
Daniel has also served as assistant conductor for both the A.J. Fletcher Opera Institute’s production of La Cenerentola, Florencia en el Amazonas and for UNCSA’s 50th-anniversary production of The Nutcracker.